Of course there are restrooms here; there are RV hookups for your RV here. There are fine comfortable cabins here, and there is a laundry room for you to take advantage of. There's such an incredible array of things to do near Alaska Recreational Parks, and it's one of those places where everything is glorious. Of course there are showers at this campground; Alaska Recreational Parks is a perfect place for tent camping. 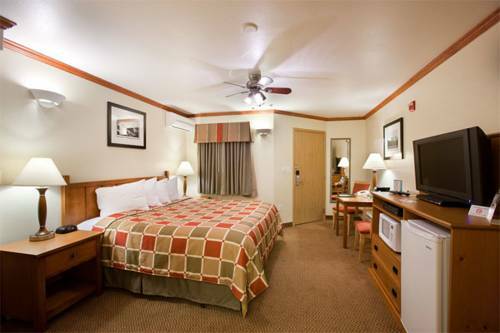 is lodging where you can stay the night in great comfort. Don't forget your fishing pole as this spot has some great fishing; there are cable TV hookups, so you won't miss your favorite show. The pleasant ambiance and the ably maintained facilities attract folks from far and near. Alaska is a glorious place for outdoors people. Some activities here at Alaska Recreational Parks are swimming, hiking, whitewater paddling, and fishing, so running out of exciting stuff to do won�t happen. Loads of people pick this campground when going to Kenai Fjords National Park. The beautiful marina of Seward Marina is a glorious site to leave dry land behind. Outdoors recreation in the vicinity of Anchorage, Alaska, the metro area neareast to Alaska Recreational Parks. Find info on campgrounds, marinas, hiking trails, ski resorts, lakes, beaches, parks, whitewater, golf courses and more.